CARP is back in full swing! 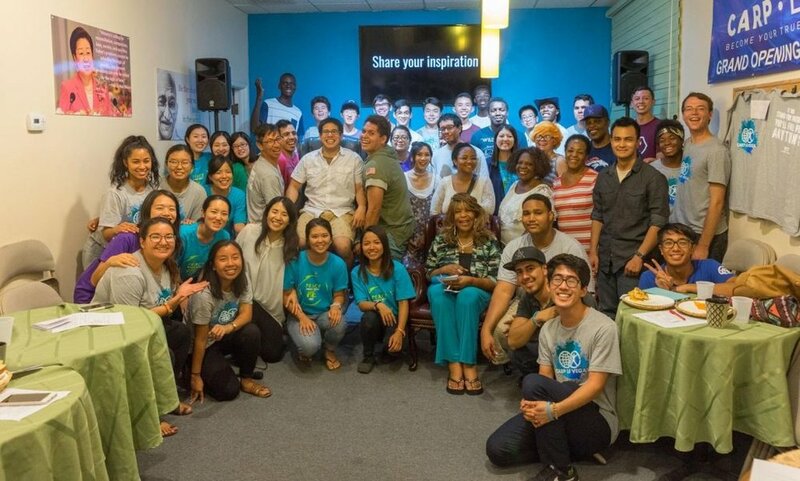 Chapters across the country hosted their first events and are gearing up for more. 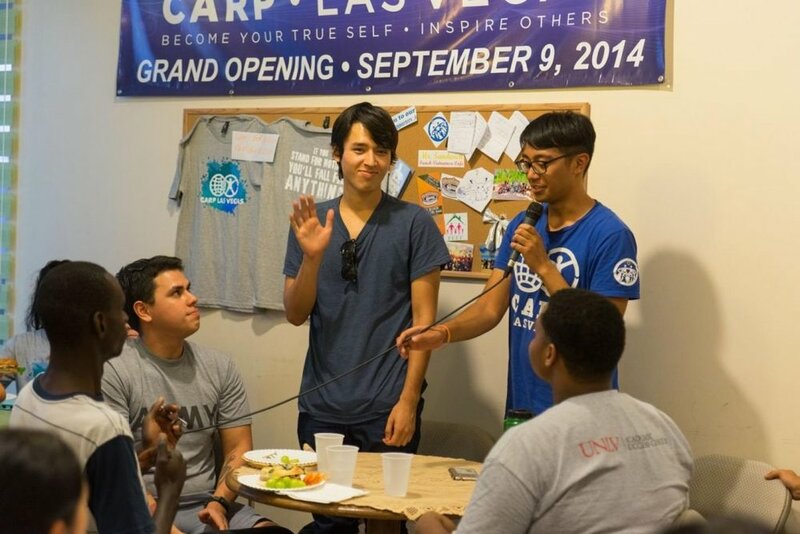 On Thursday, August 31, CARP Las Vegas held its first Tribe Talk of the semester! It was a joyous and empowering evening. There were people 52 people in total, including 22 first timers. We were especially grateful to welcome Mrs. Sandra Blake Toles and her sister Mrs. Lois Tunstall, who were called by God to be campus ministers at UNLV. After everyone was introduced, the MC introduced the topic of discussion, which was “How can I be truly happy in my life.” Everyone divided into small groups to discuss the reading and find their own personal answer to that question based on the principle that “true, lasting joy is living a life for the sake of others.” Through discussion and a visualization, participants were encouraged to set goals for themselves. One brother shared his inspiration to live according to his conscience. Another brother shared his determination to live for one week with no regrets. Everyone enjoyed discussing and bonding with their discussion “families,” and are excited to come back for the next theme. It is going to be a semester of growth and transformation! Feeling a need to start off the Fall semester and connect to the young people in their community, CARP Bay Area held a Sunday Service on September 3 at the Hearst House. Ten CARP members heard a presentation on the history of the Cold War/Communism, the “new left” in America and about CARP from the 1960’s to 1985. The students wanted to hear stories and gain an understanding of why Father Moon created CARP. Markus Von Euw and Christine Froelich gave the presentations. We had a successful Back to School BBQ hangout in Grapevine TX! Over 30 people attended the event! 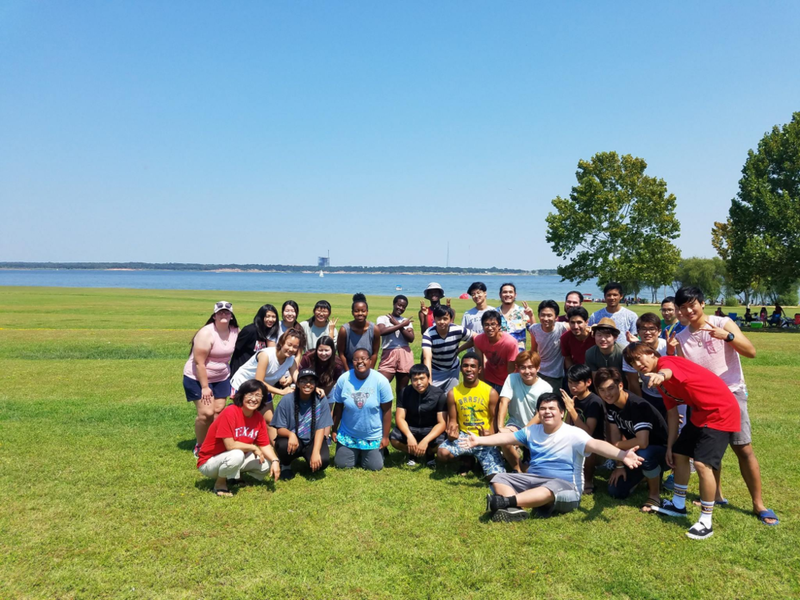 We had singing, dancing, icebreakers, group activities, BBQ, swimming , volleyball, and more. 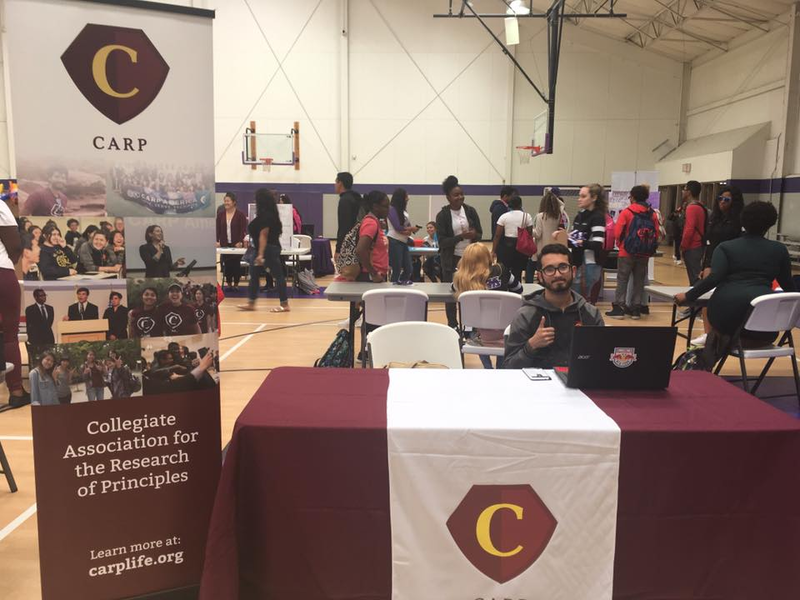 CARP chapter debut at Grand Rapids Community College was a success. We have 30+ people interested in joining us and other organizations are willing to collaborate with us. 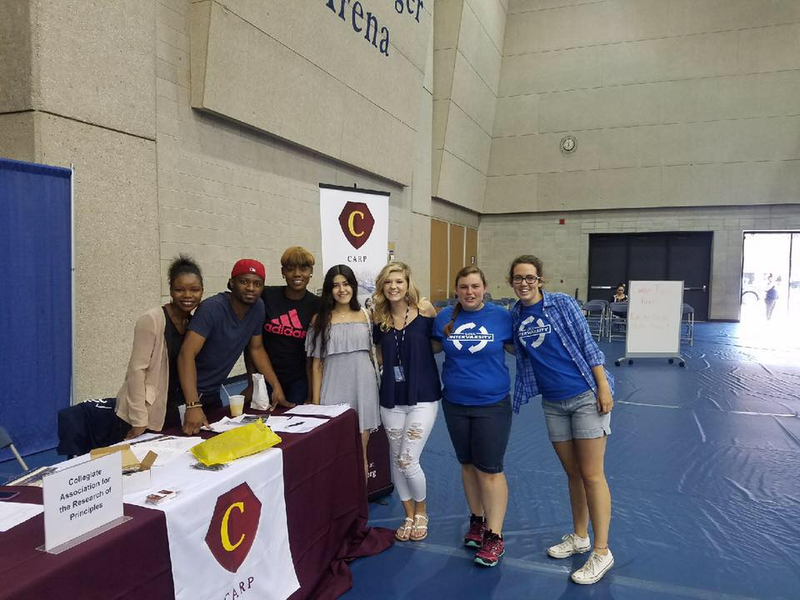 University of Bridgeport held its Club Fair on September 6! We, East Los Angeles College (ELAC), hosted a discussion group event with all of CARP LA in attendance. There were about 20 people in attendance. The theme for this Discussion Event was the Reunification of North and South Korea. Takahito Kikuchi, CARP ELAC’s President, gave the introduction of CARP and of Rev. Sun Myung Moon and Dr. Hak Ja Han Moon. We introduced ourselves in groups, read Father Moon’s words about reunification and discussed about the reading and on discussion questions. This discussion took about an hour. Most attendees were CARP, but we had three guests: Kevin, David, friends of CARP ELAC’s core team, and Raquel. David was skeptical in the beginning, but because everyone was so friendly, he ultimately had an amazing time. David is originally from Vietnam and lived there for seven years. He saw firsthand the effect that communism had in his country and felt very passionate on the topic. Raquel really enjoyed her time talking with her group and the atmosphere we created. Raquel never cared for this issue before, but after talking with her group, she realized how important this issue on North and South Korea is. More news stories from campuses coming soon! Stay tuned! Interested in becoming a CARP Member? Sign up here.